How was your week? Did you get a lot of good reading in? Writing? We'd love to hear what you thought was awesome! Today, we have FOUR wonderful giveaways for you! 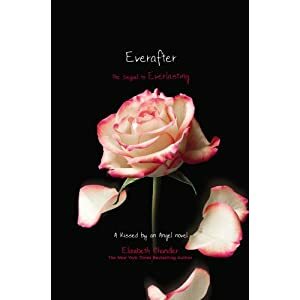 EVERAFTER, coming out this week from Elizabeth Chandler, NO MAN'S LAND, S.T. 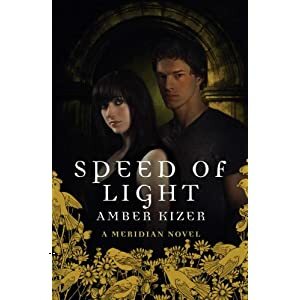 Underdahl's recent release, MEANT TO BE by Lauren Morrill, and the full MERIDIAN trilogy by Amber Kizer, all three books of which will go to the same winner. Good luck, happy reading, and happy book birthday to all the authors with books coming out next week! We're so excited for you! It seems the odds are forever against Ivy and her fallen angel. 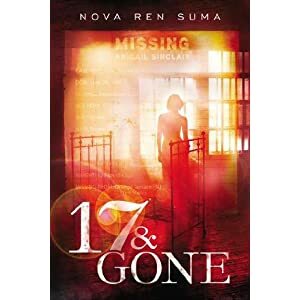 Tristan is still trapped in the body of an accused murderer, and as the two star-crossed lovers try to clear his name, they must battle the dark forces that would keep them apart and destroy them both. The danger is especially great for Tristan since, as a fallen angel, death would mean losing his soul. It�s up to Ivy to save the one she loves and, hopefully, find a way for the two of the them to be together�for all eternity. Dov Howard is 16 years old and perfectly comfortable in his role as "family failure," the kid who doesn’t stand a chance of living up to his older brother, Brian. As if being a straight-A student and football star aren't enough, Brian has also become a military hero after his National Guard troop gets deployed to Afghanistan. When the family receives word that Brian has been seriously injured, and a mysterious new girl, Scarlett, joins Dov's not-so-merry band of misfits, life as Dov knows it changes forever. 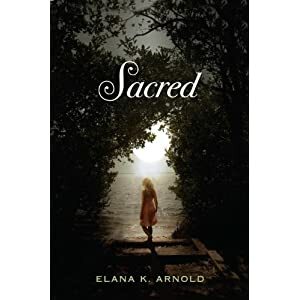 When it becomes clear that Scarlett’s wounds are much more than superficial, and a broken version of Brian arrives back on the home front, Dov finds himself suddenly and deeply immersed in the pain of others. As things go spiraling out of control, will Dov take the easy way out, as he’d always done in the past, or will he be able to step up to the plate and truly be there for the people who need him most? Meridian Sozu is a Fenestra, the half-human, half-angel link between the living and the dead. She has the dark responsibility of helping souls transition safely into the afterlife. If people die without the help of a Fenestra, their souls are left vulnerable to be stolen by the Aternocti, a dark band of forces who disrupt the balance of good and evil in the world and cause chaos. Having recently lost her beloved Auntie�the woman who showed her what it meant to be a Fenestra, Meridian has hit the road with Tens, her love and sworn protector, in hopes of finding another Fenestra. 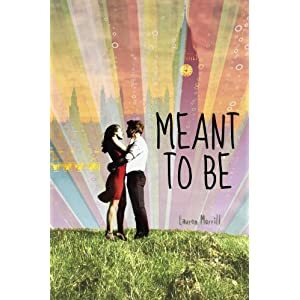 Their search leads them to Indiana, where Juliet, a responsible and loving teenager, works tirelessly in the nursing home where she and several other foster kids are housed. Surrounded by death, Juliet struggles to make a loving home for the younger kids, and to protect them from the violent whims of their foster mother. But she is struggling against forces she can't understand . . . and even as she feels a pull toward the dying, their sickness seems to infect her, weighing her down. . . .
Will Meri and Tens find Juliet in time to save her from a life of misery and illness? And will Meri and Tens' own romance weather the storms of new discoveries? 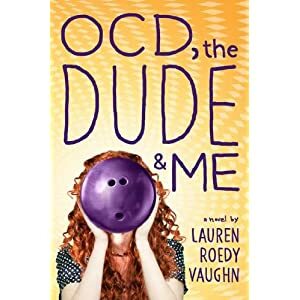 Margo McKenna has a plan of attack for everything, from landing the lead in her high school musical to dealing with her increasingly absent parents. But when she finds herself in possession of a genie's ring and the opportunity to make three wishes, she doesn't know what to do. Especially since Oliver--not blue-skinned, not bottle-dwelling, but a genie nonetheless--can see more than what she's willing to show him. 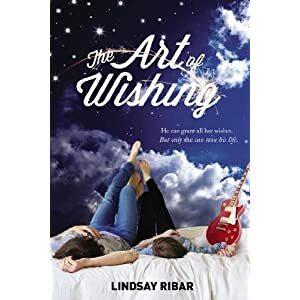 With one peek into her mind, he can see the wishes that even Margo herself doesn't know she wants. In Liz Coley's alarming and fascinating psychological mystery, sixteen-year-old Angie Chapman must piece together the story of her kidnapping and abuse. 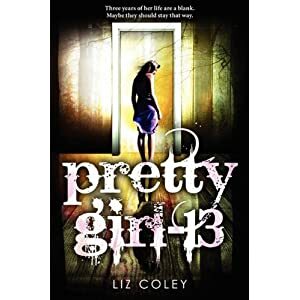 Pretty Girl-13 is a disturbing�and ultimately empowering�page-turner about accepting our whole selves, and the healing power of courage, hope, and love. Seventeen-year-old Lauren is having visions of girls who have gone missing. And all these girls have just one thing in common they are 17 and gone without a trace. As Lauren struggles to shake these waking nightmares, impossible questions demand urgent answers: Why are the girls speaking to Lauren? How can she help them? And . . . is she next? As Lauren searches for clues, everything begins to unravel, and when a brush with death lands her in the hospital, a shocking truth emerges, changing everything. Locke Jenkins has some catching up to do. After spending 260 years as a disembodied mind in a little black box, he has a perfect new body. But before he can move on with his unexpected new life, he�ll have to return the Favor he accepted from the shadowy resistance group known as the Network. Locke must infiltrate the home of a government official by gaining the trust of his daughter, seventeen-year-old Raine, and he soon finds himself pulled deep into the world of the resistance�and into Raine�s life. 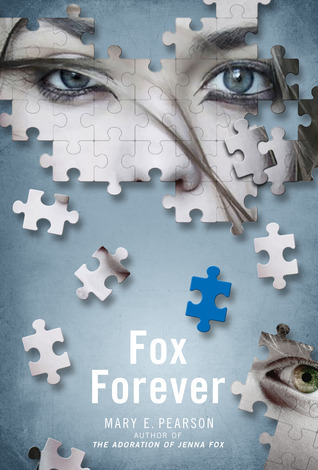 Mary E. Pearson brings the story she began in The Adoration of Jenna Fox and continued in The Fox Inheritance to a breathtaking conclusion as Locke discovers that being truly human requires much more than flesh and blood. A vigilante fights for justice at any cost. Wallis Stoneman isn’t like other teenage girls. She’s beautiful, fearless, and deadly. Wally lives alone in her Brooklyn loft. She’d be a regular teenager, except that she’s the daughter of a Russian assassin. Crime is in Wally’s blood, but she uses her legacy for good: she solves missing persons cases for the Ursula Society, an under-the-radar organization that uses oft-illegal tactics to find people the police have given up on. The person Wally most wants to find? Tiger, her own fugitive brother. But the closer Wally gets to finding Tiger, the more dangerous her search becomes. And Klesko, Wally and Tiger’s sadistic father, is again at large. 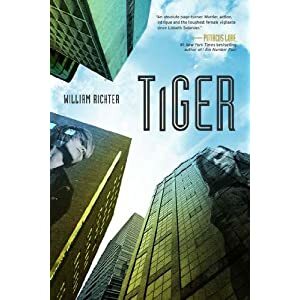 With two highly-skilled con men against them, Wally and Tiger band together to destroy a conspiracy in which they—and their hearts—are mere pawns. Just FYI, your RSS feed stopped working earlier this week! Thanks so much for letting us know, Heather! We appreciate your taking the time to comment and give us the heads up. Hopefully, I've got it fixed now. Have a great weekend! Too little time, too much to read. Looking forward to Everafter. What a great title. I love that title, too, Ben! Thanks for taking the time to stop by and comment. Have a great weekend! So many good books. No Man's Land looks really good and I love the cover of OCD, the Dude and Me. Thanks for running the giveaway. No Man's Land was very good! Thanks so much for stopping by and taking the time to comment, Rosi! Have a wonderful weekend. I love the Fox books by Mary Pearson. I can't wait to read this newest one. Great books this week. So many great books, so little time, right? I need to take a few weeks off to do nothing but catch up on my TBR pile! :) Have a great weekend! Lots of wonderful books this week. Thanks for sharing them. And yes, Stina's post did not come up on my RSS feed, nor did this post or Thursday's. I've been having to check mine as they are coming up about 1 hour to 1 1/2 hours after the scheduled time and on occasion I've had to copy the post in a new post to get it to come up. Not sure what the problem is. Hope you fix yours. I hope I've got it fixed now. Thanks for letting me now. I wonder if it is related to what Google is doing with Google Reader? In theory, feedburner should be separate, but who knows. I hope your problem gets solved. I admire how on top of things you are. I didn't even figure out ours wasn't working until Heather pointed it out. Sigh. I am always feeling like I'm going down for the last time with the blogging! How on earth do you manage everything you do--you're incredible, Natalie! I need another book to add to my towering TBR pile. 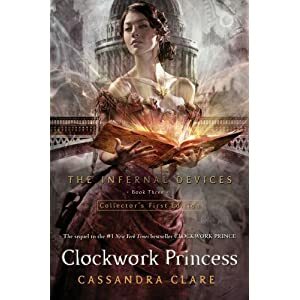 I need to read the Infernal Devices series so I can read Clockwork Princess! THANKS for the reviews and giveaway.